This initiative aims to provide students with skills employers are seeking. Whether a part-time or full-time student, you are a valued member of our University, the M.S. in Com program, department family, and for Graduate Assistants, a wonderful addition to our faculty, as well. 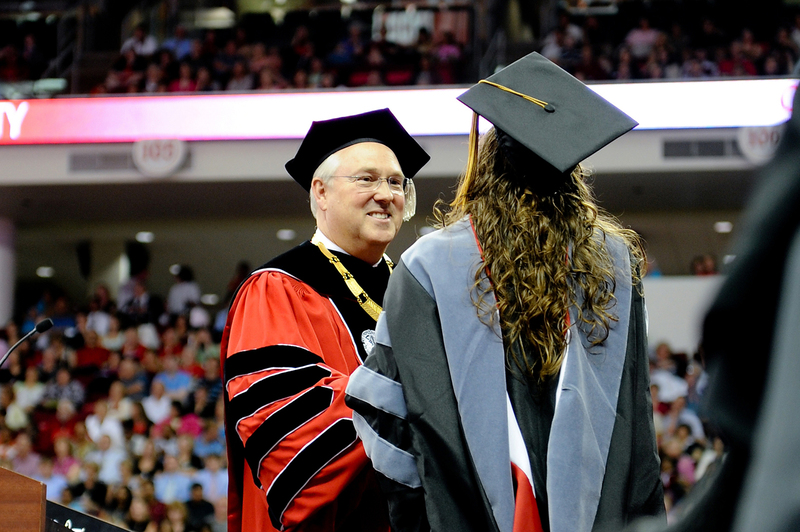 NC State University and the Department of Communication faculty, administrators, and staff are here to help you succeed and excel in your academic goals. The department’s main office is on the second floor of Winston Hall, Room 201. There are a few things to note, routines to follow, and tasks, however, that are required during your time in the program. Keeping pace with these responsibilities will lead to less stressfull final semester as you approach graduation. The Director of Graduate Programs and the Graduate Services Coordinator will send reminders throughout each academic year, but you are expected to follow through. Get acquainted with MyPack Portal – your personal, online space to register for classes, pay bills, update courses in your Graduate Plan of Work, and more. During your second semester, begin populating and building your Graduate Plan of Work (GPoW), easily accessible and simple to use within your Portal. It is an area to list your current and planned coursework as well as your Committee Members (you should choose a Committee by the 18.00 hours of course work milestone). We will review how to manage your GPoW and choose Committee Members during Fall Orientation prior to your first semester in the program. Out-of-state students on the Graduate Student Support Plan must begin establishing residency during their second semester (spring). Once a North Carolina citizen, they become eligible for in-state tuition which lowers our funding costs and keeps the University’s assistantship program viable. Self-funded students from out-of-state are encouraged to apply for residency as well to lower their tuition bills. Students whose papers or posters are accepted at academic conferences may ask permission from the Director of Graduate Programs to travel to the venue and receive reimbursement for their expenses. While this isn’t always possible, we will make every effort to assist you. Graduate Student Support Plan students (considered employees of the University) will find Travel Authorization links in their Portals for online completion and submission for e-approvals. A Travel Authorization is only a request to travel off campus, and not a guarantee or approval for either leave or financial reimbursement. Other students should review the NC State Travel Guidelines and Conferences information, and submit an AP-104 form linked from that page. Contact Department of Communication business representative Laura Kelly for department-specific guidelines. The University and Department of Communication take plagiarism extremely seriously. Any incident of plagiarism on exams throughout your enrollment in our program is grounds for immediate termination from our program and the Department, and in most cases, from seeking a degree University-wide. Full-time students are expected to complete the program in two years. Part-time students have up to six years from from the date of first enrollment to complete their degree or they will be dropped from the program. Students can choose between taking Comprehensive Exams (final written / oral exams) or the Thesis Track option (a thesis paper / oral defense). The Thesis Track is of particular benefit to those interested in research and/or would like to present a strong writing sample when applying to a doctoral program. The Director of Graduate Programs holds a brief session each spring for first-year students to guide you in that choice. You will learn about necessary forms to complete and receive a Thesis or Comprehensive Exams checklist. You should make a decision about your two options by the end of your second semester or by the 18.00 credit hour milestone for part-time students.